Rupert Pupkin Speaks: Shout! Factory - LIVING IN OBLIVION on Blu-ray ""
This movie came into my life at the most serendipitous time. I had recently shifted my major to Radio/TV/Film and was starting to take film production classes. I was started to make friends with a few of the students I met in those classes and we used to while away the hours at a local pub talking about movies and how we wanted to make our own some day. I believe I had already begun my 16mm sync-sound filmmaking class and we were assigned to work on each others movies to help give us a sense of what all the members of the crew were doing. It was by no means even a low-budget film shoot environment or anything, but we were getting some small idea of how much work actually went into making films and how many minor things could go wrong at any time and derail what you were trying to accomplish. One of us came across this movie on VHS at our local "cool" video store and once we saw it, it became our jam (this was at a time before we referred to things as "our jam", but that's what this movie was to us). It was just the perfect thing for us. Not only was it a movie about making a movie (on a level that we could relate to), but it was also this clever, Fellini-esque vision of the whole thing. My friends and I loved black and white independent films at the time and this one came close enough on the heels of us seeing STRANGER THAN PARADISE and DOWN BY LAW that it landed squarely in our sweet spot. The fact that director Tom DiCillo decided to shoot in both black and white and color was a stroke of brilliance to us at the time. The way he used the two formats to separate things out within the narrative was totally revelatory to our malleable aspiring filmmaker minds. Watching Steve Buscemi's director character struggle through all of the drama of his struggling film set was a thing a beauty. This movie was a few steps ahead of where we wanted to be ourselves. It was like the cool older brother telling us how awesome college was gonna be when we got there. 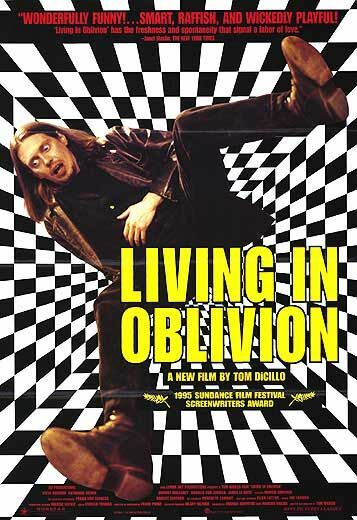 To this day, LIVING IN OBLIVION is still a total comfort food movie for me. It's one that I put on and usually can't turn off. Such was the case with watching it on this new Blu-ray. As much as filmmaking has changed a bit since 1995, there are still a lot of universal situations and characters involved with the process that are on display here and they are as relevant and hilarious as ever. 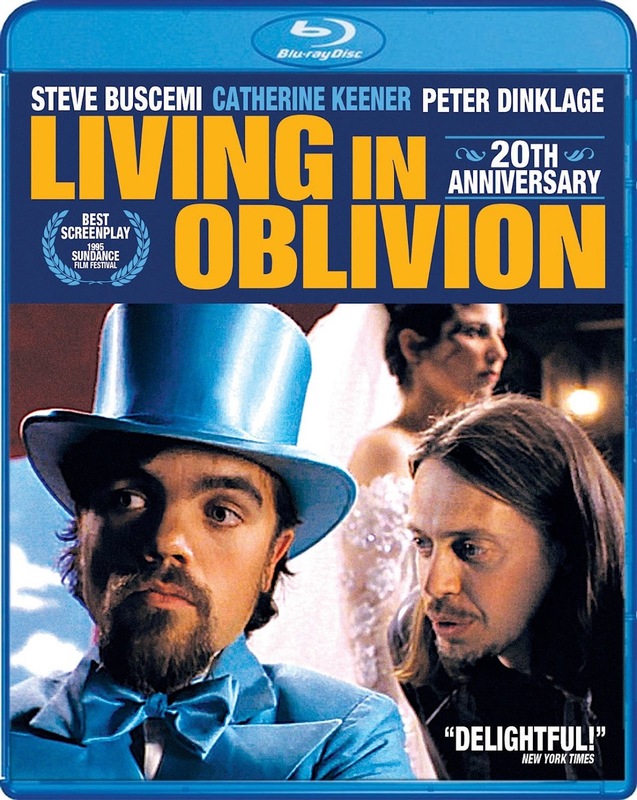 Plus the cast is excellent: Buscemi, Peter Dinklage, Catherine Keener, Dermot Mulroney (as the amazing and pretentious cinematographer "Wolf"), James Le Gros, and Kevin Corrigan. All are fantastic here. -In Our Own Oblivion: The Miracle Of Making A Film: Featuring Brand-New Interviews with Writer/Director Tom DiCillo, Producer Marcus Viscidi And Cast Members Steve Buscemi, James Le Gros, Danielle von Zerneck And Peter Dinklage. -Q&A With Tom DiCillo And Steve Buscemi. "Living In Oblivion is now presented in stunning high-definition, from a brand-new restoration supervised by Tom DiCillo!"